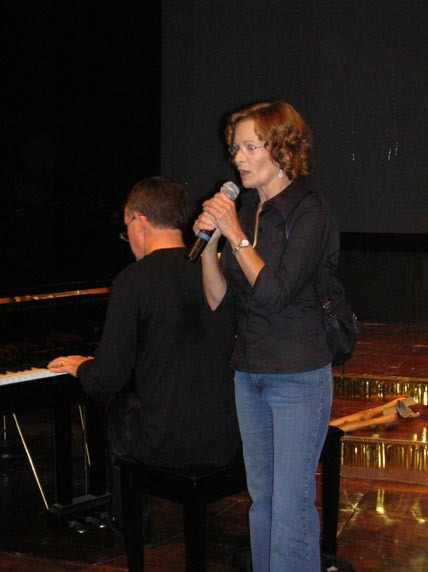 Another great high light of the evening was when original Broadway cast member Shelley Plimpton agreed to step on stage and sing Frank Mills for director Tom O'Horgan, accompanied on piano by original Broadway cast member Walter Michael Harris. As she sang, all of the other Crissys in the audience joined in, and then everyone, so that by the end of the song we were all singing. To hear an audio file of this performance click here. sharing their audio files with us, and allowing us to share them with you here.